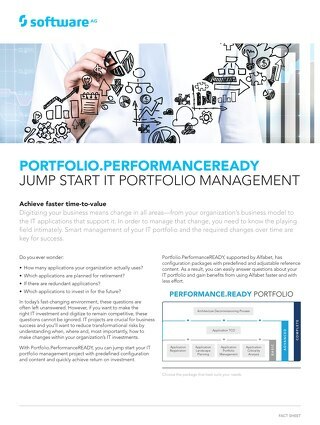 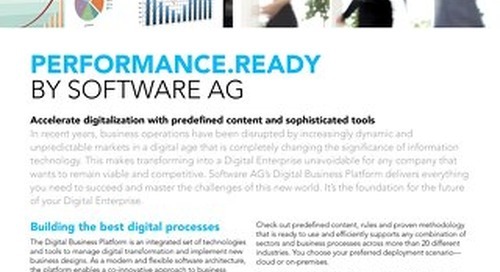 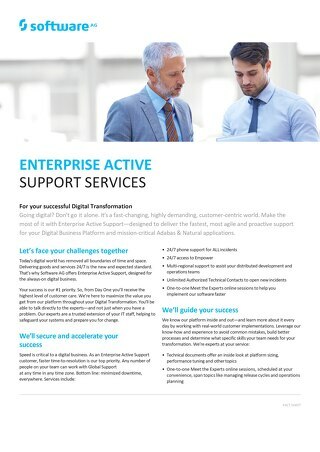 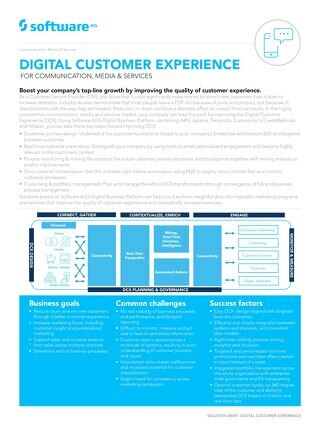 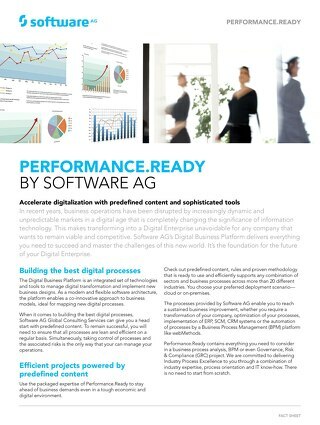 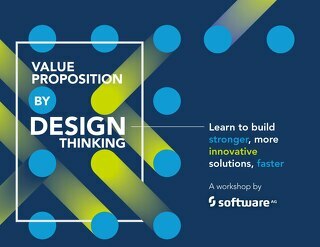 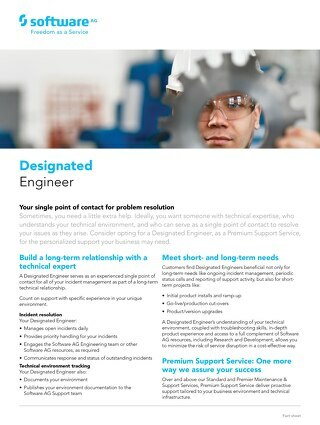 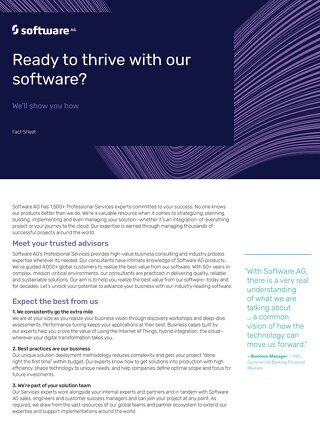 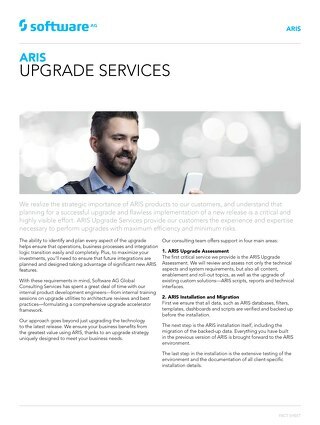 When it comes to building the best digital processes, get a head start with Performance.Ready predefined content from Software AG global consultant services. 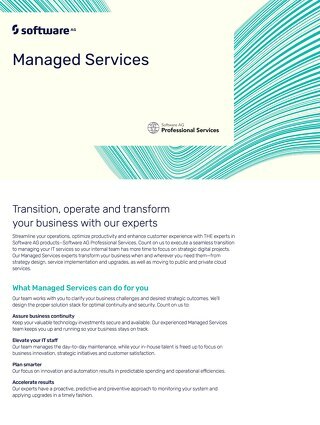 Global Education Services offers a wide range of education and certification solutions for all cycles of the project chain. 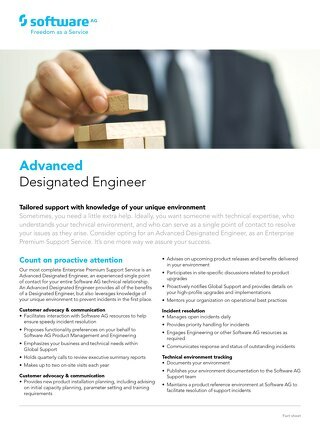 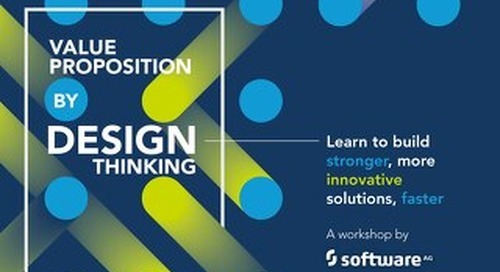 Learn about the scope of our software training classes in this brochure. 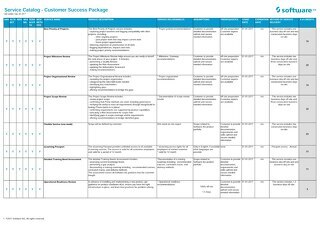 Customer Success Package catalog: Buy once, meet your goals anytime!